For me, winter does it, the smell of cinnamon, nutmeg and vanilla, the sound of bells chiming, the feel of snow (if we're lucky) and the sensual flicker of candlelight. Candles are one indulgence item for me. I just love candles. Big candles, little candles, fat candles, thin candles - i don't discriminate, I just love them. Especially when they're scented. 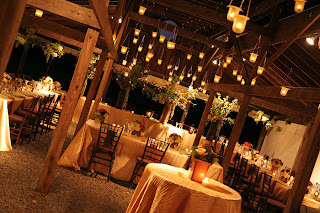 I plan to scatter candles around the room of our wedding reception, keeping the rest of the lighting low, and for full impact. Recently, I've decided to 'step up my game' a notch... and invest in a lighting system for our reception. Now, I've not gone and spent thousands on any flash LED system that I can't operate, but I have called in the people in 'the know'. The genuises at Wedding Creative know how to transform a room with lighting, creating the exact ambience that you want for your special day. In a large ballroom (or even, dare I say it, conference room) like we have, we have to pull out the tricks to ensure the evening remains wintery, intimate and that every guests feels special. For me, as soon as I walk into a room, I have certain preconceptions of how my evening will pan out. For our wedding guests, we want them to feel the warmth and frankly the love that will be on display for all to see as we exchange our vows. 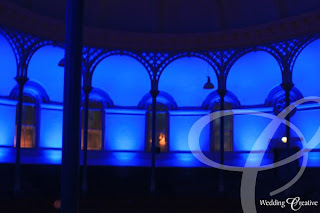 I'd urge you to check out http://www.wedding-creative.co.uk/ asap, to see just what they can do for you. They're incredibly professional and offer services to suit every budget and all tastes. Good luck! N.B: We created a fantastic 'glow' in our wedding reception, but didn't consider how this might affect the video or pictures. The result was that we had to keep switching the main lights on and off to suit our needs....just something to bear in mind!